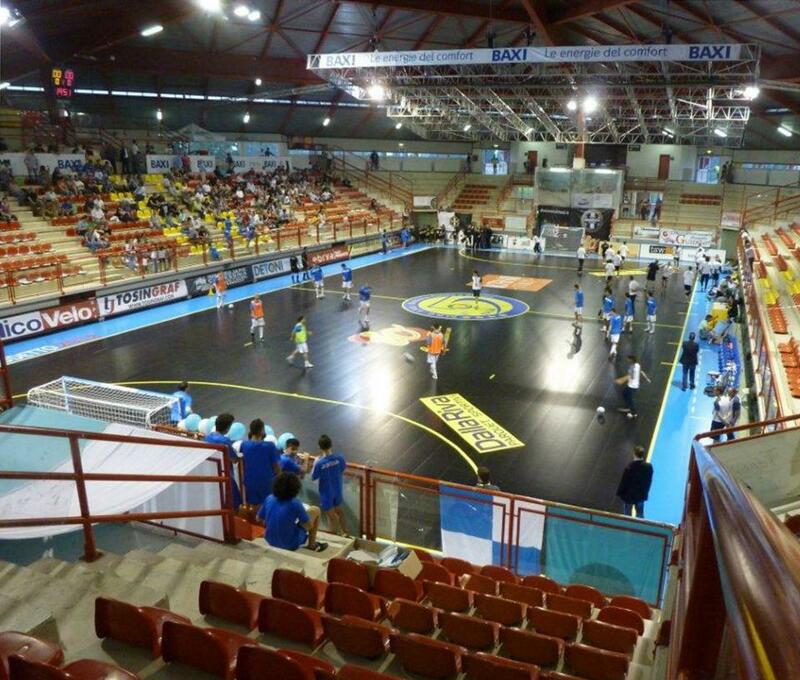 Why choose Dalla Riva sports floors? The installers are trained within the company and are directly supervised by our technical director. This has been our policy since 1982. 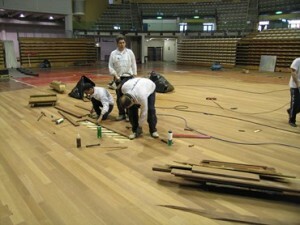 The gym sports floors, in fact, were realized by specialized, professional workers. Our lengthy experience, matured in over 35 years of activity in the field, allows us to carry out rapid interventions. 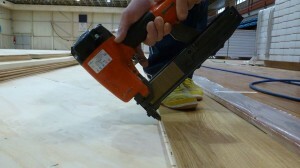 For example, to lay a new 700 square metre floor, we require only four working days, including markings and accessories. 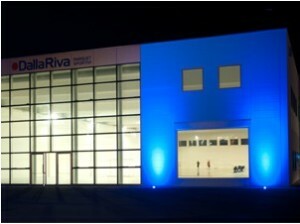 For major refinishing, Dalla Riva uses a special machine able to sand up to 300 square metres per day. 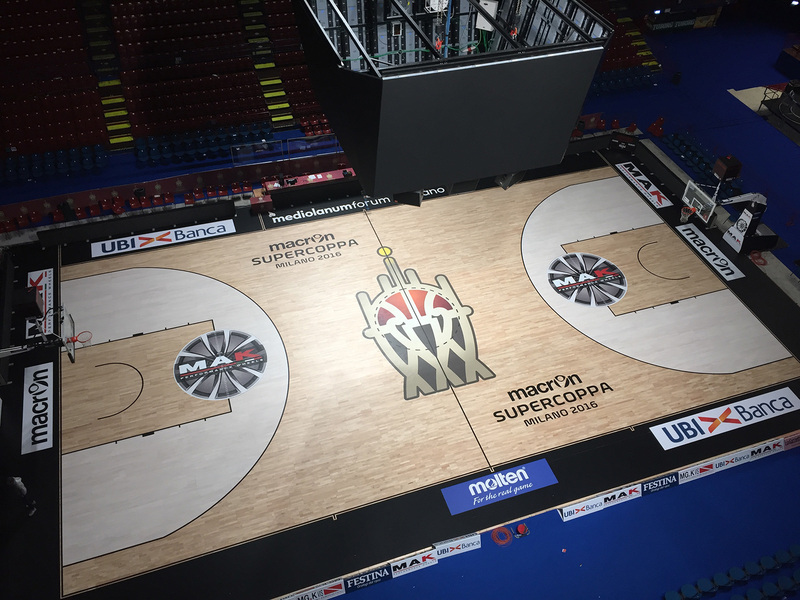 From the choice of sports parquet floors to the finishes: attention to the smallest detail at every stage. 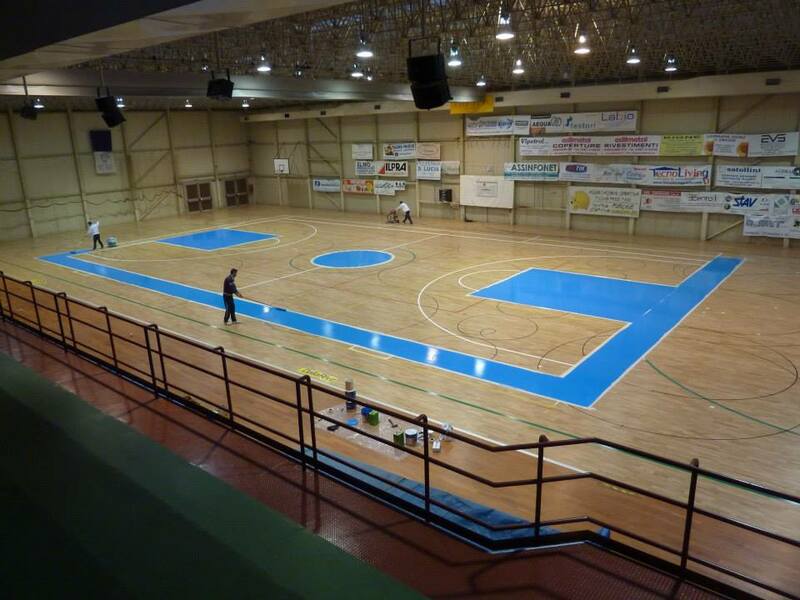 Hardwood floors, by nature, have characteristics that make them ideal for playing sports. They are able to reduce the force of magnitude of impact from shoes inherent in all sports activities. 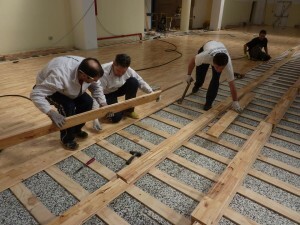 The cost-duration ratio, additionally, is more advantageous for wood floors than for other materials. A simple sanding, planing and varnishing suffices to renew the playing surface. 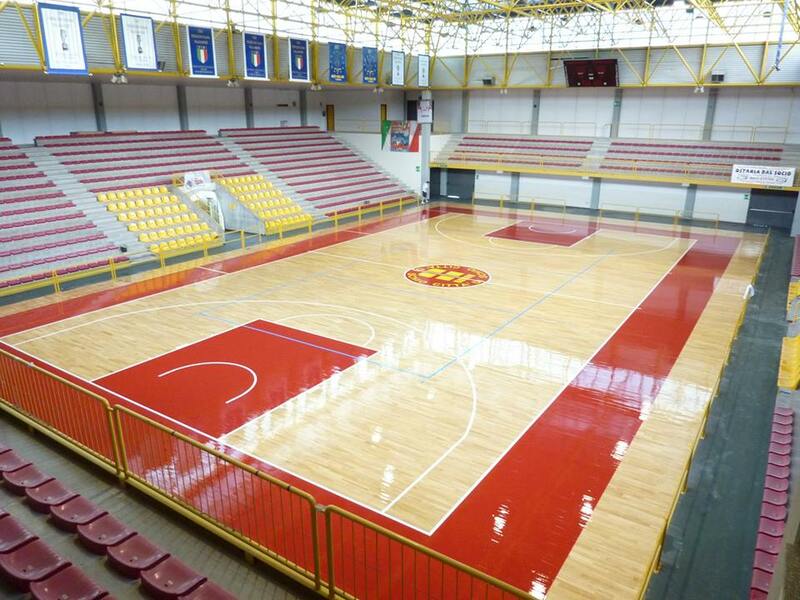 Following the technical standards pertaining to the quality of the materials used, especially in the substructure (cushioning and plywood), uniform ball bounce is guaranteed at every point of the floor, which is important in every sport. The collaboration with our technicians is constant in order to create a product that can meet the current standards and ensure reliability even in the most important events. 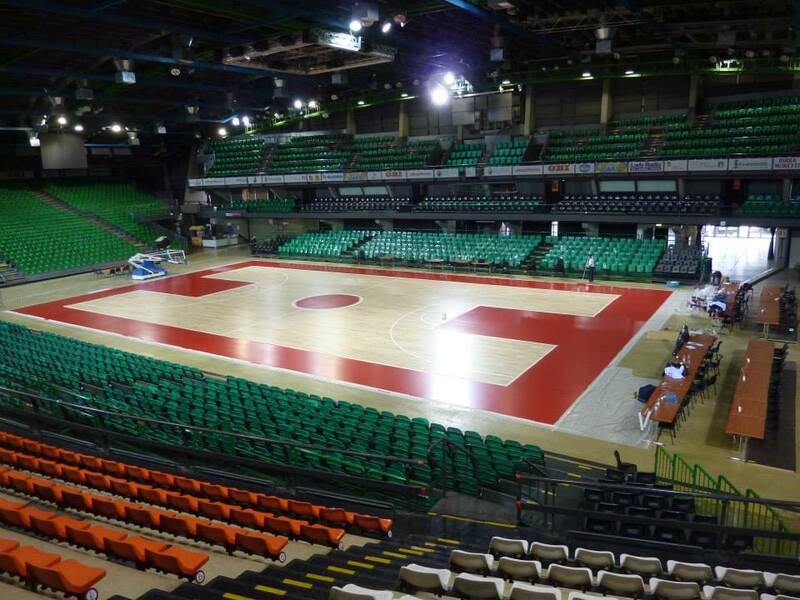 We deliver sports floors ready to use, delineating the field lines according to the rules of the sports federations. We are able to guarantee perfectly executed markings, thanks to the dispenser that distributes two layers of adhesive tape on the continuous lines and circles, in order to avoid colour smudging. and the regulation circles for roller skating, according to the size of the gym.